Canadians are buying more cars than almost ever before, but a closer look reveals they’re taking longer and longer to pay them off, too. This story is part of a series we're calling Debt Nation looking at the state of consumer debt in Canada. Look for more coverage in the coming days, including on mortgages and credit card debt. Canadians are buying more cars than almost ever before, but a closer look reveals they're taking longer and longer to pay them off, too. More than half of all new car loans are currently financed for 84 months — seven years — or longer. Industry standard used to be to amortize car loans over 60 months — five years — but as low interest rates settled in, payment periods began to stretch longer and longer to make monthly payments as low as possible. We want to hear your debt confessions. Post a short clip, maximum 15 seconds, to your Instagram Stories and be sure to tag @CBCNews and use the hastag #DebtNation. We're looking to feature the most compelling on CBC News Instagram and CBC News throughout the week. Learn more here. Longer terms allow the lender make more money in interest payments off each car loan. Interest rates on car loans can range from zero per cent to the high single digits, depending on the make and model, time of year and the duration of the loan. Market research firm J.D. Power Inc. collects sales data from more than 1,200 Canadian car dealerships across the country, and has noticed a troubling trend. In a nutshell, "long-term financing has exploded in Canada," the company's automotive expert Robert Karwel said. At one point earlier this year, 55 per cent of all new car loans were for at least 84 months. That can be than seven years to pay off a steadily depreciating asset, and it's a growing piece of Canada's debt puzzle. 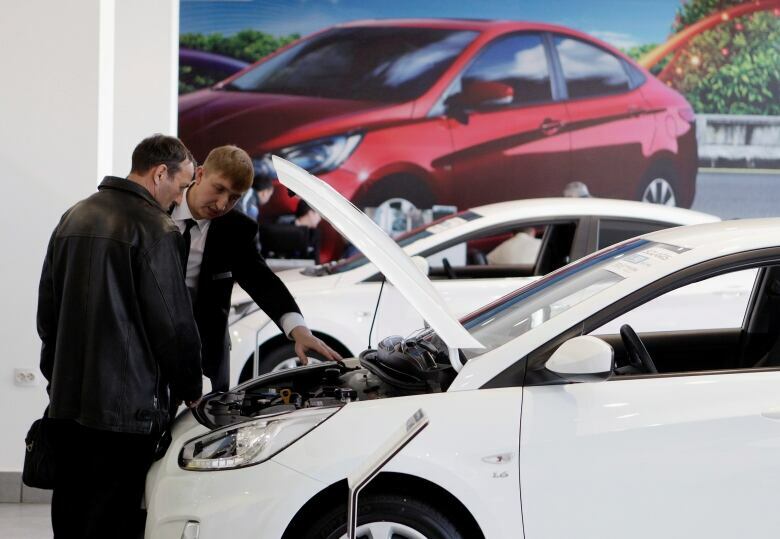 The figure has since inched down a little to 51 per cent as of September, Karwel says, but for comparison purposes less than 10 per cent of American car loans are stretched out over that long a period. Most are fixed-rate loans, but even so, if Canadians are five times more likely than Americans are to have a long-term car loan, they're five times more vulnerable down the line as the cost of all their other forms of debt creeps higher. "People are buying more expensive cars, and that's been facilitated by [this type of] financing, because you can spread the payment over long enough of a time," Karwel says. The appeal for a car buyer is obvious. The average price of a new car in Canada last year was just over $33,000 last year. If you pay cash up front, you'd likely get to knock off quite a bit of that total in terms of dealer incentives and instant rebates. But if you finance it over seven years or more, it's not hard to get the monthly payment to well under $500 a month, and even a modest down payment up front would result in much lower payments down the line. Squeezing that same car into shorter-term loan saves money in the end but can add hundreds of dollars to the monthly payment. Which is a big reason why B.C. resident Jakky McDonald jumped at the chance to get an 84-month loan when she bought a new Kia Forte earlier this year. The 24-year-old wasn't in a position to pay cash up front, so she knew she'd finance. 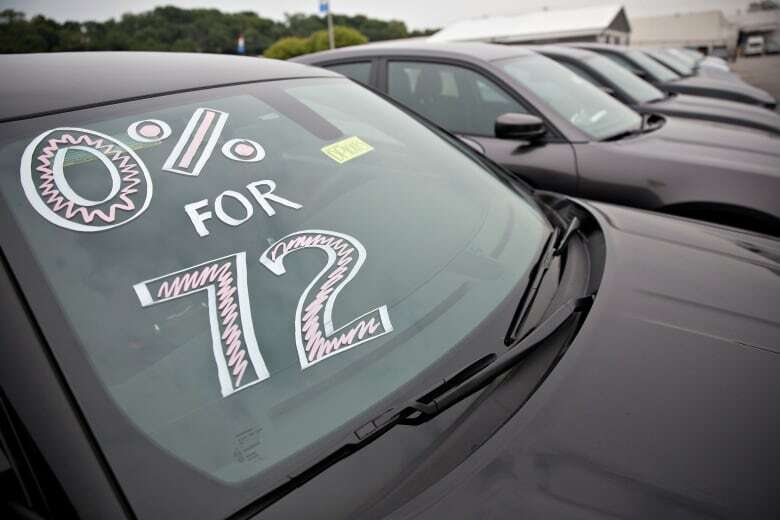 Based on what the dealer offered, she went with a seven-year payment plan, but the salesman pitched her on one extra enticement she couldn't refuse. While checking her credit history, the salesman noticed that she had about $4,500 in student loans on her file. He suggested she roll those debt into her new zero per cent interest car loan. "He said you might want to consider taking any other debt you might have that does have interest on it, you know, to this because it will save you money in the long run," she recalls him saying. She checked the fine print, and ended up doing exactly that. Six months later, she says she'd make the same call in a heartbeat. In McDonald's case, the plan hinged on getting zero per cent on the loan. 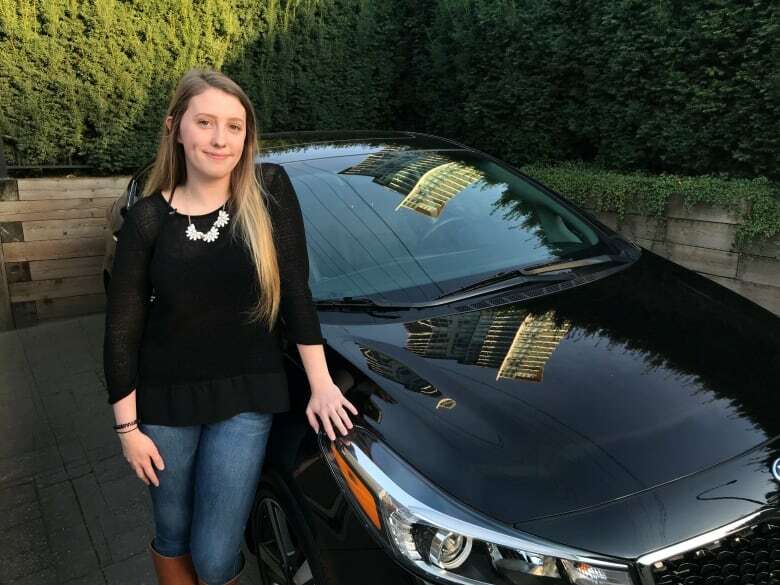 True, she may have missed out on a few other incentives had she paid cash up front, but refinancing almost $5,000 worth of student loan debt in one fell swoop worked for her. "I opted for $4,500 cash back and then they wrote me a check for that," she said. "And I just went and put it right on my loan." Her case clearly illustrates the selling point for consumers of some of these loans — but it's not hard to come up with the down side. Experts say that one of the biggest risks of such loans is that as the loan terms stretch into seven eight or even nine years, it's not uncommon for the borrower to still owe more against the car than it's worth, when they come to need another car in a few years time. In financial parlance, that's known as having negative equity, but in layman's terms it feels a bit like having your finances turned upside down and underwater. J.D. 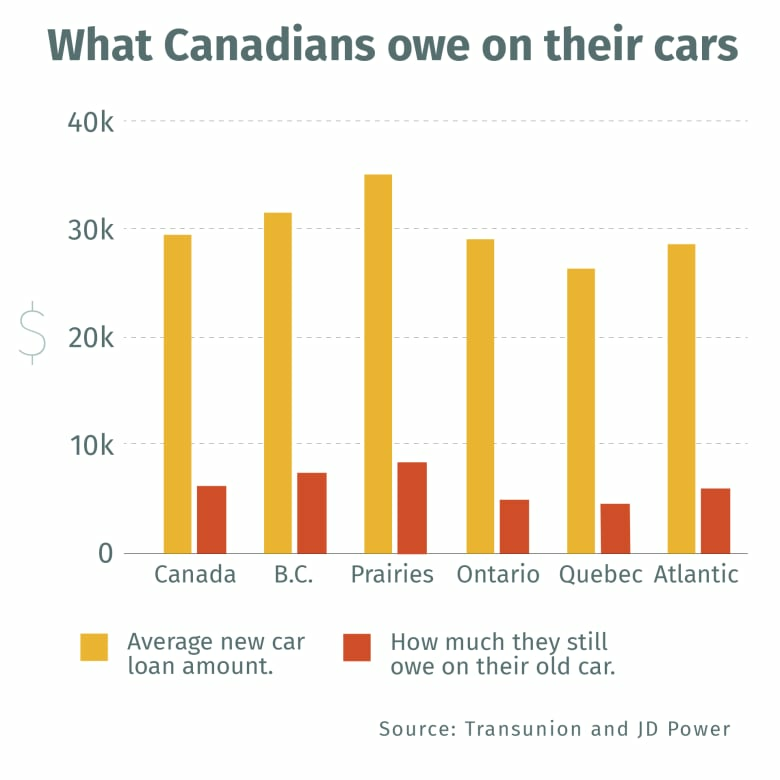 Power numbers suggest that more than 30 per cent of Canadians who trade in a car owe more on the car than it's worth. More often than not, that gap gets rolled into the new car loan in the form of new debt, which extends the payment plan even further and puts borrowers even more in debt when they need to do it again in a few years time. And the cycle goes on. And on. The longer the loan, the more likely it is to present a problem down the line. "You're just spreading that same risk over a … longer period of time," says Matt Fabian, research director at credit reporting firm TransUnion. 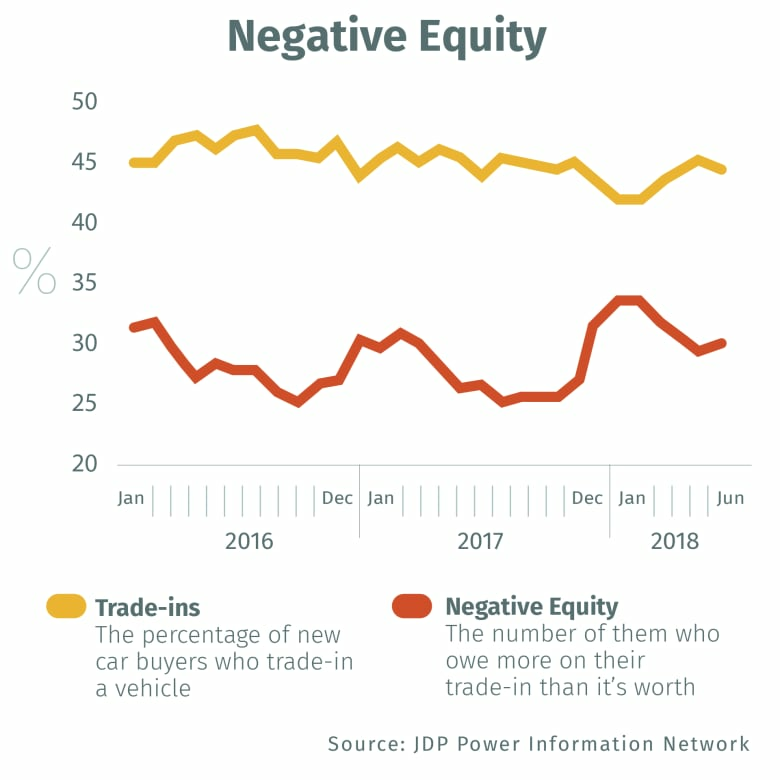 While Fabian notes that delinquency rates for car loans are still low, long-term car loans are a growing piece of Canada's debt picture — especially as Canadians are buying bigger, more expensive cars. 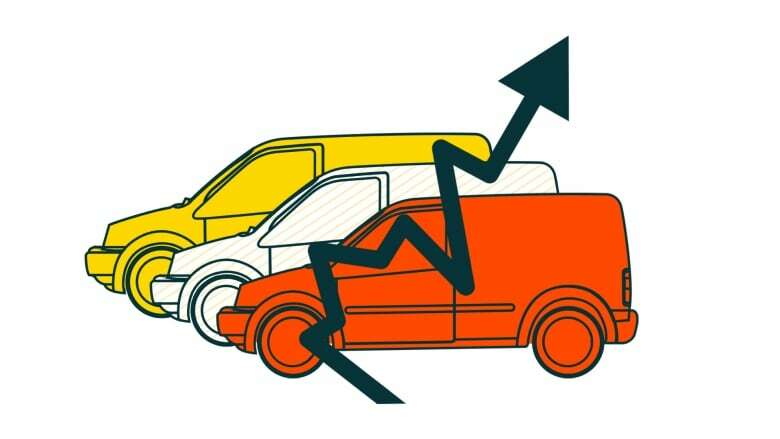 Most car loans come at a fixed rate, a fact that makes them somewhat insured from rate hikes to come. But that hides the reality that hikes elsewhere can make even those car payments even hard to come up with every month. "That car loan payment doesn't increase, but if you have a variable rate mortgage and a line of credit, those do," Fabian says. Economist Benjamin Tal at CIBC agrees that car loans are really a matter for concern in as much as they fit into Canadians' overall debt loads. But he's especially worried about people with negative equity — who owe more than their car is worth, even after years of paying it off. Because consistently doing that means "you're becoming more vulnerable to the risk of higher interest rates," as he puts it. That may sound bleak, but fortunately, J.D. Power's Karwel says there's an easy solution to the problem. "For consumers at least, there's a safety valve for all this … and the safety valve is … just keep your car. If you're financing for 84 months, keep your car for 84 months and this problem goes away."